Only Superman can have the most perfect knife which can do every job best for him. Otherwise no person in this world can have a knife which works well in every situation on any time. If you are going to invest big bucks for quality, you want every factor of the knife to be perfect. Titanium or stainless steel diving knives should be chosen by focusing on every particular aspect of the knives. 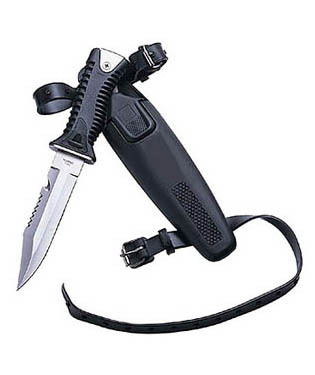 Many people wonder whether diving knife is really a necessity or not. But it is really useful. It helps you when you get caught in fishing net, line, oceanic plants. seaweed, etc. and of course, it provides you self defense when you face an underwater giant. No matter what type of diving you are doing, whether it is wreck diving, technical diving or cave diving, a diving knife is a necessity. 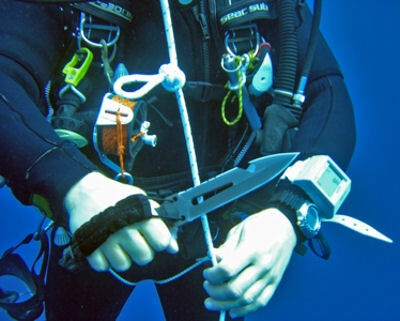 The other side of this is, if you are undergoing a guided diving in the clear waters of the Caribbean, diving knife is probably not a necessary tool. However, it is always good to have one with you. You can either choose stainless steel or titanium. 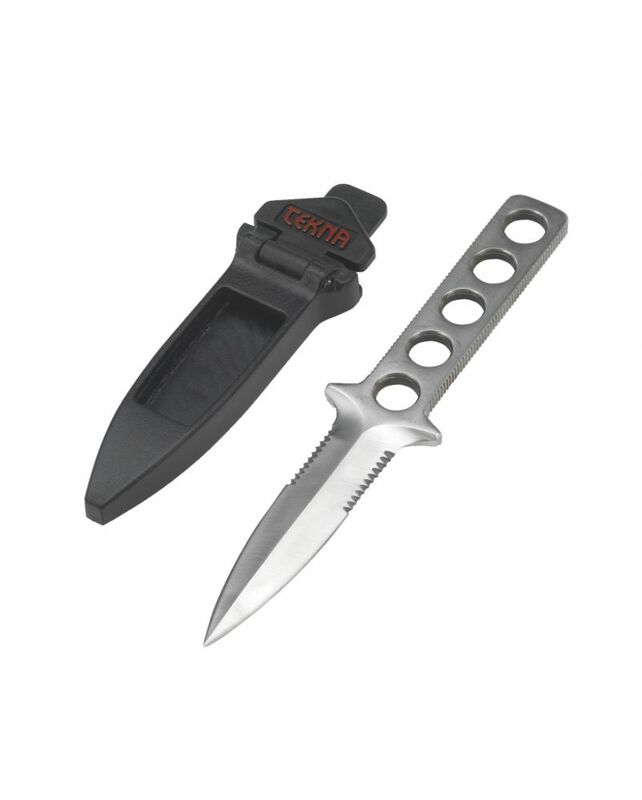 Stainless steel diving knives are typically available in 300-series-400-series alloys. The lower the figure, the more resistance to rust you will get. However, in exchange you get difficultly in maintaining a hard edge. All stainless steel diving knives corrode at least to some extent, sometimes very fast, because of their carbon content (included to make them strong). So, they require careful maintenance. After every dive, you should rinse your knife in fresh water. Putting silicone or oil on the blade is also recommended, after every use. 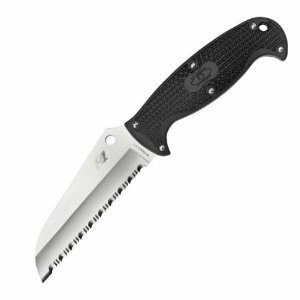 Titanium diving knives are significantly more expensive than the stainless steel knives and so, are considered to be a high end choice. Titanium knives need no maintenance. They don’t have carbon in them, and so don’t rust. They even hold an edge well. They are a little more difficult to sharpen, but since we don’t use diving knives that often, there is no need to sharpen them every now and then. 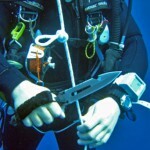 Shape of diving knife is an important factor to consider. The blade tip may be pointed or blunt. For recreational diving, blunt tip is fine, because then the knife cannot be stabbed through anything unknowingly, like a wetsuit or hose. A pointed blade is mostly used for spearfishing. Other factor of shape is straight or serrated edge. A serrated edge cuts through hard objects and also tends to remain sharp for longer. You are using a diving knife only in case if you are tangled somewhere under the water; otherwise most of the times it is going to remain inside your case. So, you don’t need a superhero type huge diving knife. One with about a 4-inch blade is fine. Visualize for what you will be using the knife and then choose the size. If you choose a very small knife, ensure that you can grip it safely. Where will You Attach the Knife? One commonest place is on the leg – that too lower leg, opposite the main hand. But this location is often criticized for being entangled under water. Another popular location is on the BC. That way, the knife is always with you and not left on the boat. It is also easier to access. But ensure that it has a blunt tip so as not to puncture the BC. Also it should be smaller to medium size. Choosing a diving knife on these criteria will help you to have a useful gear with you for your safety while enjoying the adventure.